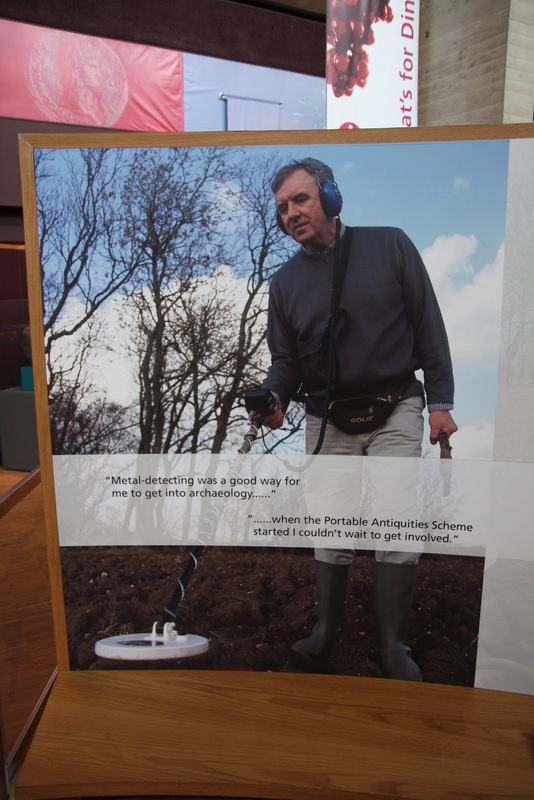 Adam Daubney, the FLO for Lincolnshire, has written on the unrecorded finds that are obtained via metal-detecting ("Floating culture: the unrecorded antiquities of England and Wales", International Journal of Heritage Studies  1-15 [DOI]). Readers of LM will know that this is a topic that has featured here. Daubney accepts in his opening paragraph: "loss of archaeological knowledge also occurs on an arguably far wider scale through the non-reporting and subsequent sale of legitimately discovered archaeological material, especially in countries such as the U.K. where there is no legal obligation to report certain classes of finds". There has to be an acceptance that under-reporting of finds is a failure of the Portable Antiquities Scheme to engage with the metal-detecting communities ("it has proved impossible to shift the entrenched ideas of some non-reporters, particularly those who were active during the ‘detector wars’ of the 1970s and 1980s "). I am pleased that Daubney makes this comment in response to my paper (and responses) in the Papers of the Institute of Archaeology that so far appears to have escaped citation by a member of PAS (and he overlooks my main forum paper in preference to my response to the responses): "To this extent we might concede to Gill’s comment that ‘recording antiquities is not the same as protecting archaeological sites’". But Daubney has been selective. What is his response to the finding of the so-called Crosby-Garrett helmet (even if it was not in Cumbria)? What about the implications of the uncovering of the Lenborough Hoard? What is needed is a wider debate about the need to protect the fragile archaeological record in England and Wales. Sardinian warrior from "old Swiss collection"
Paestan lekythos from "an old Swiss collection"